Looking For The Best Glass Jars For Spices? Most people don’t have as much cabinet space as they would like in their kitchens. This means that people who enjoy cooking need to find a way to remain organized and keep finding innovative ways to save space. Organizing your spices into uniform size containers is a great way to save cabinet space and help to make cooking more convenient. Most cooks prefer glass spice jars to those cheap looking plastic jars, so here is a look at the best glass jars for spices. 12 jars, 4.5 ounces each. Tight sealing glass lids with plastic fitments. Jars are about 2 ½ inches tall. These glass spice bottles are wider at the bottom than the top making them less likely to tip over in a cabinet than those bottles that are same size at the top and the bottle and slightly taller. In addition, the wider bottom is perfect for placing labels identifying the spices, leaving the bottle itself unblemished for a more refined look. Soy candles to give as gifts or for your own enjoyment. Organize small beads or gems for various crafts. Wedding favors or table decorations filled with small candies, tiny colored beads, or beach sand. These handy little spice jars are perfect for use in the kitchen and other places in the house. For cooks with limited cabinet space, they can be kept in a drawer allowing you to keep your spices neatly organized and close at hand. They can also serve a variety of other uses around the home, which makes them both handy and versatile. Lids fit tightly holding in freshness. The jars are great for visibility. Keeps all your spices organized and uniform. Come in a set of 6 jars. Measures 3 ½ inches tall and 1 ¾ inches in diameter. These bottles actually come with 2 tops. 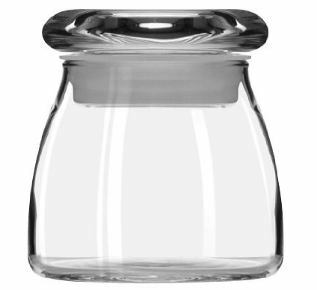 The inner top is a plastic insert that is easy to snap on to the jar and then there is a white plastic screw on top that fits over the insert and the top of the bottle. The holes in the lid are actually quite small, so it may be difficult for seed or flake type spices to pass through the holes. The bottles themselves are quite durable and they do fit on spice carousels and spice racks well. Holding small crafting items such as beads and small gems. Great for colored sugars when baking and decorating cookies and cakes. You can use these jars for your own spice combinations to give away as gifts. They also make great small candles for gifts, or party favors. 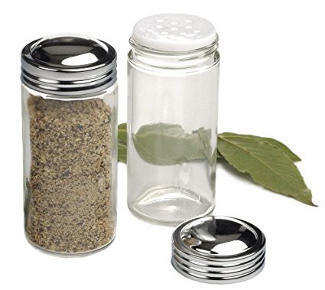 These glass spice jars are a great size for holding spices for most users cooking needs. The insert with holes may not work well with all spices, but can be removed and you can sprinkle the spices into your hand before adding to your cooking. The great thing about these jars is that they fit most standard size spice racks, so they can be used to replace cheap looking plastic spice bottles or those that are broken. 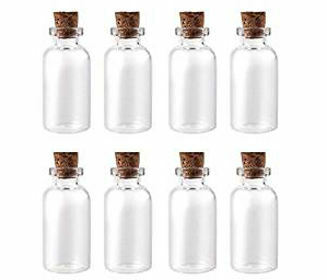 Reviews for this set of 6 glass spice bottles are extremely positive with most users finding these bottles handy to use and stating that they really help them to organize their spices. They are a nice size and shape for keeping spices in. Shaker inserts come in handy for some spices. Bottles are easy to fill. Comes with 16 jars and accompanying insert and lids. Snap on sifters come with both large and small holes. White caps fit over the sifter insert. 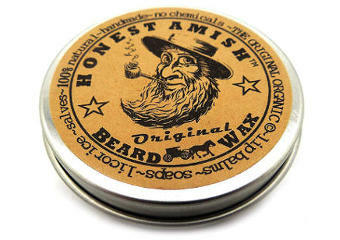 Measures: 3 5/8 inches high and 1 ¾ inches in diameter. Comes with a lifetime manufacturer´s warranty. 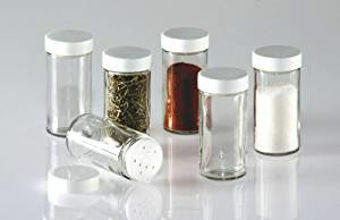 These are the standard glass spice jars that you will find in most spice racks. 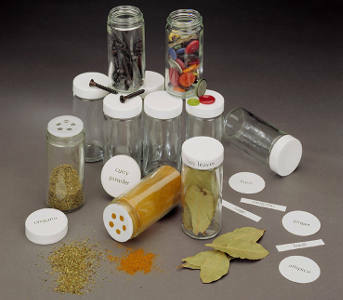 Their inserts come with small and larger holes making different bottles suitable for different spices. However, if you want to measure these spices with a teaspoon, you will find that the opening at the top of the bottle is too small to fit a teaspoon. Making small soy candles for gifts or wedding favors. Filling with colored sand or candies for wedding or party favors. Perfect for making your own dry rubs for use or gifts. Good for keeping small craft supplies such as beads, needles and as such. These are nicely made, rather ordinary looking jars that will fit most standard spice racks. If you want jars to fit in a drawer, these bottles are too tall. They are perfect for those people who want to organize their spices in bottles of uniform size. Caps fit snugly on the bottles keeping the spices fresh. Bottles are well made and sturdy. Hold the right amount of spices. Each jar comes with plastic insert with holes. Each jar also comes with chrome steel screw on lid. Bottles measure 4 inches high and 1 ¾ inches in diameter. These RSVP spice jars hold about 3 ounces of spice and are sturdy and well made. While they don’t come with spice labels, you can make or buy labels designed to fit them. They do fit most standard sized spice racks and are slightly taller than many other jars of the same diameter and design. While these jars are certainly nice for those store purchased spices, they can be used for many other things as well. Making gift bath salts for friends. Holding small candies or other small items for party or wedding favors. Making your own spice mixes or dry rubs. Holding and organizing small craft supplies such as beads, small needles or gems. These spice jars are perfect for organizing your spices in uniform sized and shaped bottles. They are also versatile enough to serve a number of other uses around the home as well as be used as containers for making gifts. We do find, though, that the chrome coating on the lids could be better as the caps have a tendency to rust. Nice looking bottles that make your spices look well organized. Sturdy bottles that hold a good amount of ground spices. This set of 24 small mini glass jars should provide most users with more of these bottles than they will ever need. Dimensions are 1 1/2” tall and 3/4” in diameter. Stoppers are made of cork. I have included these little bottles in this review as they look really cute but they are not suitable for spices since they have an extremely small opening. However, they seem to have many other uses and a lot of the users have been very creative in coming up with some great ideas. Some people use these jars to place sand in as favors for beach weddings. You could also fill them with colored water for decorations for parties. One customer used them as souvenirs from their holiday. 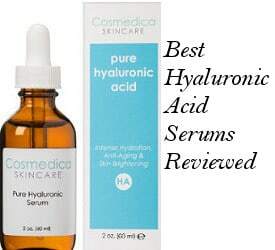 While they are definitely cute, it is apparent from the reviews that they are smaller than they seem on the picture. They are clearly not appropriate for spices due to their tiny opening in the top. However, if you can think of another use for them, they can be cute little giveaways. There are some mixed reviews. Some people simply love them and others have criticised that they are too small and the quality of the cork is not so great. All in all, if you are looking for the best glass jars for organizing your spices, the above selection of various types of bottles will help you choose easier. Also, keep in mind that these jars are versatile enough to have many other uses as well. 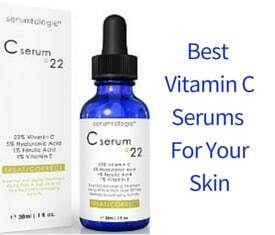 What Are Allantoin Benefits For Face And Skin Care? What Is The Best Chlorella Supplement Brand?